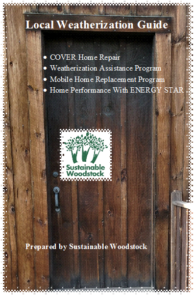 Click on the link above to download our FREE local Weatherization Guide! Save money AND do your part to reduce the emissions of climate-changing carbon gases. Make sure you are heating your home as efficiently as possible by sealing up leaks, tuning up your furnace, and keeping your thermostat at the lowest temperatures comfortable at appropriate times of day. Efficiency Vermont is offering up to $2,100 in financial incentives for weatherization and energy upgrades on your home. Check out the 2015 incentives from Efficiency Vermont to see what steps it takes to get money back for your weatherization upgrades. 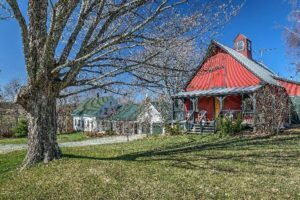 The first step to getting the incentives from Efficiency Vermont is to schedule a home energy audit from an Energy Star certified contractor. Icicles indicate that warm air is escaping from your house. Most homes built more than twenty years ago are not energy efficient and lose very expensive heat! As the cost of fossil fuels continues to rise, (fuel prices have increased by 350% since 1999) so will your energy bills. Be proactive and look for ways that you can improve your home’s energy footprint. VT Policies Fight Climate Change! 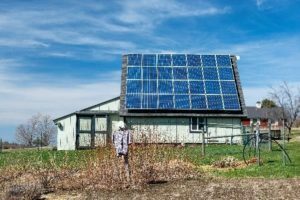 Vermont’s Comprehensive Energy Plan (CEP) works to combat climate change by setting goals for a diverse and local energy portfolio dependent on renewable energy sources. 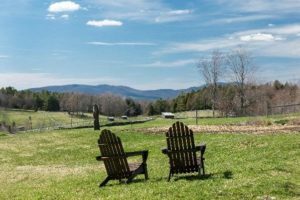 The CEP has also set a goal of getting 80,000 homes in Vermont to obtain a 25% energy savings by the year 2020. This requires that 3% of the households get upgrades every year; we are currently upgrading less than 1% of homes annually. Efficiency Vermont is offering up to $2,100 in incentives for those who invest in weatherization upgrades. The State Weatherization Assistance Program allows income qualified residents to upgrade their homes at no cost! One way to find out how efficient your home is to calculate how much energy you use per square foot of your home. An efficient home uses less than 40,000BTUs per square foot. Step 1 – Get your fuel usage for a full year from all sources including oil, gas, wood and electricity. Call your fuel dealer or look at old bills to get this number. The number will be in gallons, kilowatts, cords or tons. Step 3 – Determine the square footage of your livable space. Include all heated spaces, but not your basement unless it’s lived in it. Step 4 – Calculate your number. Divide the total BTUs used by the total heated square foot in your home. Step 5 – Compare your number to an energy efficient house. 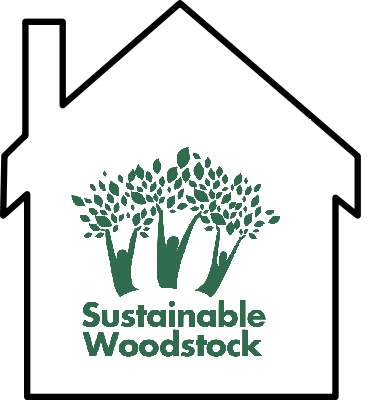 Contact Sustainable Woodstock. Total BTUS_________ ÷ total sq. ft. _________ =_______BTUs/sf. Need some help? Give us a call at 457-2911. One helpful resource in our area is the Neighborworks H.E.A.T Squad, a one-stop-shop for home energy efficiency. They help customers of all income levels every step of the way to a comfortable and affordable home- from education and engagement, to scheduling an energy audit, to managing and even financing energy efficiency improvements. They offer $100 audits and support from their professional energy advisors. They work with a hand-selected team of independent, dependable, Building Performance Institute- certified local auditors/ contractors. Their affordable options are open to qualified customers of all income levels and include energy advising. For information see www.Heatsquad.org or contact Windham & Windsor Housing Trust,68 Birge Street, Brattleboro, VT 05301. Phone: (802)-246-2111Use the chart above to calculate the British Thermal Usage (BTU) per square foot of your home. If you are using more than 40,000 BTUs/sq. ft. then there are opportunities to improve your homes efficiency. Since 2010, Janet and Stephen Andersen have done all they can to make their farm in Barnard carbon neutral. They have done it all; from installing solar, to weatherizing their home, to changing their lifestyles and they have been meticulously tracking their energy usage. Follow the link below to learn more about what steps they have taken.